uring polysilicon, ingots, wafers, photovoltaic cells and modules with capacities equivalent to 250 MW (megawatt) per year,” said V Saibaba, CEO, Lanco Solar Energy. The SEZ project, which commenced four months ago, is being developed in phases to put Chhattisgarh in the global map of polysilicon production bases. “We have estimated the fund requirement but the mode of financing is yet to be decided, which could be a mix of debt and equity both,” said Saibaba. The first phase of the project, which involved an investment of Rs 1,340 crore, will be fully operational in a couple of months. Moreover, the company is also strengthening its global market and plans to build solar farms in Germany, France, Italy, the US and the UK where it is already offering engineering, procurement and construction (EPC) solutions. “Alongside, in global solar markets, we have started participating in the bidding process of power purchase agreements,” said Saibaba. Aiming to improve access to electricity in rural areas, a new programme to take solar power to villages across the country was launched here Wednesday. Launched by NGO Krishi Bikash Shilpa Kendra (KBSK), the programme will be implemented in the national capital region, the northeastern region, Uttarakhand, Himachal Pradesh, Bihar, Jharkhand, Orissa, Uttar Pradesh, Madhya Pradesh, Rajasthan, and Jammu and Kashmir. The programme will initially be launched in 50 villages across India. ‘Solar energy is sustainable energy and the best method to provide electricity. It is eco-friendly and our efforts are to tap this renewable source of energy,’ said Prosenjit Bose, managing director of KBSK, at the launch function here. As per KSBK, the project will create job opportunities for about 50,000 unemployed youth across the country. ‘This is a very good initiative taken up by KSBK. Through this, poor people in the remote areas of India will also be able to lead a life with electricity and this will solve their problems,’ said Rajya Sabha member Oscar Fernandes. The clean-energy unit of Ushdev International Ltd. (UTF), India’s third-largest non-state metal trader, may seek to acquire wind farms to boost its capacity 10- fold by 2014. Ushdev Power Holdings Pvt. plans to invest 18 billion rupees ($400 million) to add 100 megawatts of wind energy capacity annually over the next three years, Arvind Prasad, managing director of the unit, said in an interview in Mumbai. By 2018, Ushdev Power may seek to build as much as 1,000 megawatts of renewable energy capacity, roughly equivalent to one nuclear plant, which could also include solar, hydropower and biomass plants, he said. “We’re open to both greenfield projects and also looking at existing wind farms,” Prasad said. India’s fragmented wind sector may undergo some consolidation as companies look to build scale, Adam Forsyth, a partner at London-based investment bank Matrix Group Ltd., said on June 1. Indian Energy Ltd. (IEL), a London-listed operator of wind farms backed by Lloyds Banking Group Plc (LLOY), said on June 1 it would sell its projects in the South Asian nation if talks with a potential investor fell through. Mumbai-based Ushdev Power currently owns 30.5 megawatts of wind farms in six different states that use turbines made by Denmark’s Vestas Wind Systems A/S, as well as Germany’s Enercon GmbH and Kenersys GmbH, Prasad said. The parent company is India’s largest, private trader of metals by revenue after Surana Corp. and Adani Enterprises Ltd., according to data from Capital Market magazine. It incorporated its wind unit last year, Prasad said. 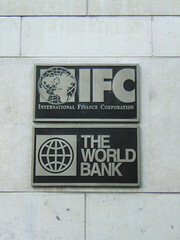 IFC, a member of the World Bank Group, is working with India’s Rajasthan state to explore the state’s prospects as a solar manufacturing and power generation hub, establish research facilities, and help bring down energy costs. IFC and Rajasthan state government are co-hosting a conference today titled, Rajasthan as a Solar Component Manufacturing Hub, that brings together policy makers, sector experts, international investors, and global and local solar manufacturing companies to share the latest insights on solar manufacturing opportunities in the state. “Through interactions and in-depth discussions with major players, we hope to draw on their experience and network to help Rajasthan emerge as an attractive investment destination for solar manufacturing. This event is vital to understanding the needs of the private sector,” said Purushottam Agarwal, Commissioner, Bureau of Investment Promotion in Rajasthan. Participants shared their views on incentive packages, support for infrastructure needs, identification of suitable zones for solar manufacturers, and exploring public-private partnerships to encourage solar sector development in the state. “Rajasthan is one of the highest daily solar insulation recipients worldwide. A growing pipeline of generation projects, broad mineral base, relatively low labor cost, and a significant allied industry base are contributing to the state emerging as one of the leading markets for solar manufacturing,” said Hemant Mandal, IFC’s Senior Energy Specialist in South Asia. Clean energy is a global strategic priority for IFC and it has led many innovative renewable energy investments in South Asia in recent years. The conference is part of a three-year knowledge partnership between IFC and the state government to develop Rajasthan as a preferred investment location across key infrastructure sectors, helping increase employment and overall development. Ernst & Young also supports the knowledge partnership. 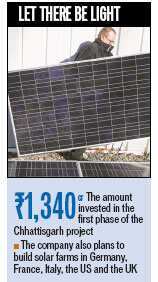 Rajasthan accounts for 80 percent of the total allocation made so far under India’s National Solar Mission plan. The state has assigned top priority to stepping up private investment in solar power and has already taken several steps in this direction. 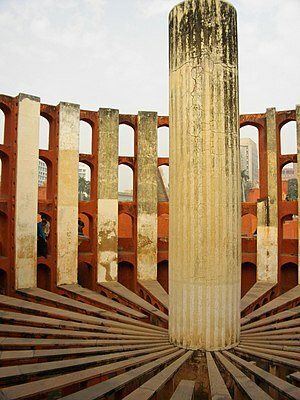 India announced the National Solar Mission in January 2010, with a phased implementation approach of working with state governments, policy makers, regulators, and power utilities to help establish solar energy leadership. 24 June 2011—A photovoltaic cell that reaches record-breaking efficiency could make solar energy competitive with fossil fuels, says the company that created the cell. Alta Devices, a start-up in Santa Clara, Calif., presented research at the 37th IEEE Photovoltaic Specialist Conference, in Seattle, this week that claims its thin-film gallium-arsenide cell can convert 27.6 percent of the sunlight striking the cell into electricity, under standardized conditions. Since the paper was submitted, the company says it has upped the efficiency to 28.2 percent. That beats the previous record of 26.4 percent for a solar cell with a single p-n junction, which was the first improvement in years over 26.1 percent. Both numbers, according to Alta, were independently confirmed by the National Renewable Energy Laboratory. The efficiency was measured on a laboratory-made solar cell. Efficiency tends to decrease once the cells are packaged into usable modules. “We assume we will ultimately be able to achieve modules that are around 26 percent, and that’s plenty to be competitive with fossil fuels,” says Christopher Norris, CEO of Alta. The key to achieving the record was photon recycling. When the photons in sunlight are absorbed in a photovoltaic material, they split into an electron and a hole. The electrons that pass out of the cell can be used as electricity, but many of them are lost in the semiconductor when they recombine with a hole to produce either waste heat or a new photon. By carefully growing a high-quality single crystal of gallium arsenide, the company managed to ensure that more than 99 percent of the recombinations would result in new photons. Those photons could then create a new electron-hole pair and give the electron another chance to be captured as electricity. The Alta team also improved the reflectivity of the metal contacts on the back of the solar cell, so that any photons that exited the cell would be sent back in for possible reabsorption. The theoretical maximum conversion efficiency for a solar cell with a single junction is 33.5 percent. “We can see a path to 30 percent with our same design right now,” says Norris. Adding a second junction could also increase the energy output. The more efficient a solar cell is, the faster it pays back the cost of manufacturing and installing it. But efficiency and cost have been at odds with each other in solar cell design. Gallium arsenide is naturally better at converting light to electricity than the chief contenders, such as silicon and cadmium telluride, but it tends to be more expensive. The most efficient materials are single-crystalline semiconductors, but those are usually pricier. Low-cost materials, such as amorphous silicon, cadmium telluride, and copper indium gallium selenide, are less efficient; CdTe cells are around 12 percent efficient. Alta solves this problem by using only a small amount of a high-quality material—a thin film of gallium arsenide about 1 micrometer thick. “That is the whole trick. Don’t use much gallium and don’t use much arsenic,” Norris says. He says an Alta module should cost about the same per watt as a CdTe module but produce three times the energy. The company cut down on the material cost by using a process called epitaxial liftoff, developed by Eli Yablonovitch, an engineering professor at the University of California, Berkeley, and a cofounder of Alta. Technicians start with a GaAs wafer as a seed layer and grow a thin-film photovoltaic device structure on top of that. They peel off the thin film, attach it to a metal backing, and finish processing it into a solar cell. The process leaves the original wafer, which they can reuse for the next batch of solar cells. Alta is working on a pilot production line to produce samples of its solar cells sometime this year and expects to have early commercial shipments by late next year, Norris says. The company has raised US $72 million to develop its production process. Neil Savage writes about strange semiconductors and amazing optoelectronics from Lowell, Mass. In June 2011 he reported on the creation of the first graphene integrated circuit. Vortex Engineering, a company focused on developing sustainable products for rural India, decides to develop an ATM to meet this segment’s banking demands. The ATM is powered by solar energy consumes just 4 per cent of the total energy that is required by a conventional ATM to function. It has the capability to serve Indian villages — indicating an opportunity for over half a million ATMs across the country. 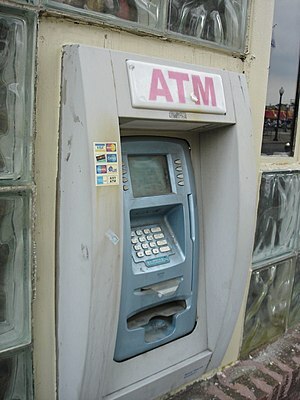 Read how Vortex Engineering’s unique ATM can help deal with the problem of low banking penetration in the third of the five-part series from India Brand Equity Foundation’s Innovations from India: Harbingers of Change.